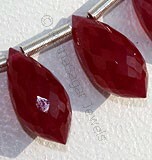 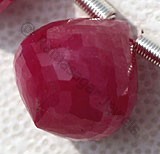 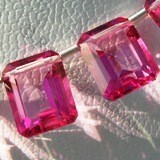 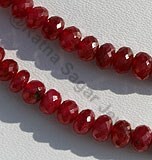 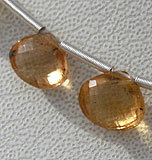 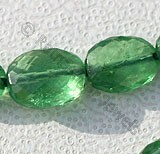 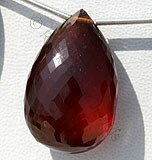 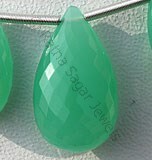 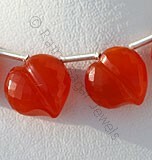 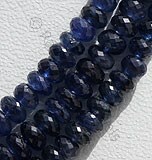 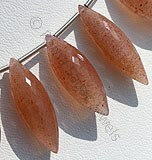 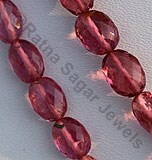 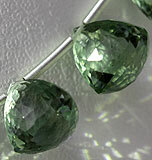 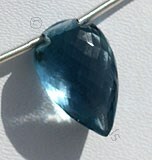 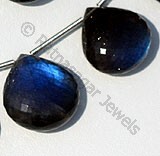 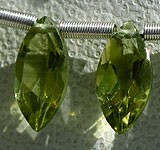 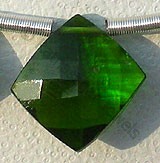 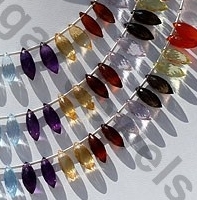 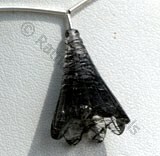 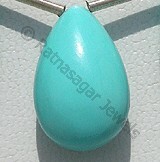 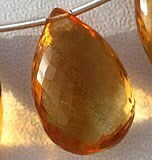 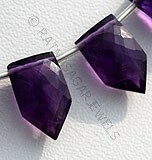 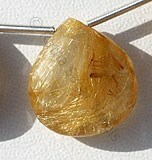 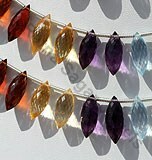 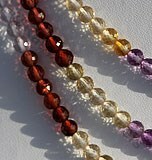 Dew Drop also called long rice shape Gemstone Briolette available at ratnasagarjewels. 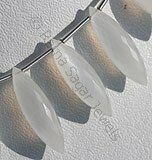 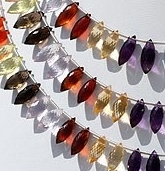 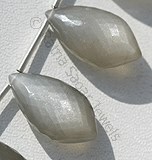 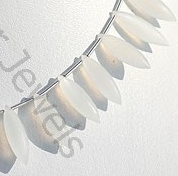 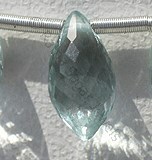 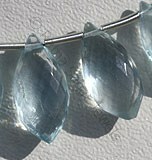 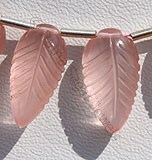 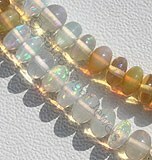 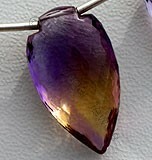 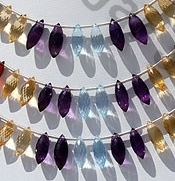 At our online gallery of dew drop shape beads, you can find charming white moonstone, semi-precious multi strand consist of thirteen different gemstones like green amethyst, labradorite, amethyst, blue topaz, pink topaz, lemon quartz, beer quartz, crystal, moonstone, crystal, rose quartz and many more and we assure you the best prices and quality for all our products. 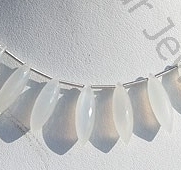 Natural White Moonstone possess property of translucent and are available in white Colour with silver sheen in Micro long rice Cut, Dew drops shape.